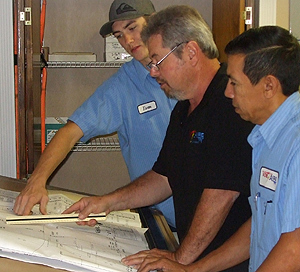 Whether you are a Commercial Contractor, a Residential Builder with a subdivision to build or an individual homeowner building your dream home, we have the Factory-Trained HVAC Professionals to take your project from permitting to completion. We install new Air Conditioning and Heating units in Daytona Beach, Ormond Beach, Port Orange, DeLand, Deltona, Palm Coast, and surrounding Volusia and Flagler County areas. For the Building Contractor, we offer a customized Upgrade Program to help you meet the needs of your buyer. We will work with you to set up the program that best meets your needs, help train your sales staff to implement the air conditioner program and be available to answer any questions your buyer may have. From high volume Residential New Construction to high end Custom Homes, to light Commercial and tenant build outs, we have the staff and experience to make it happen. Our service area includes, Daytona Beach, DeBary, Deland, Deleon Springs, Deltona, Edgewater, Port Orange, Flagler Beach, Holly Hill, Lake Helen, Lake Mary, New Smyrna, Ormond Beach, Orange City, Osteen, Palm Coast, Ponce Inlet and South Daytona.